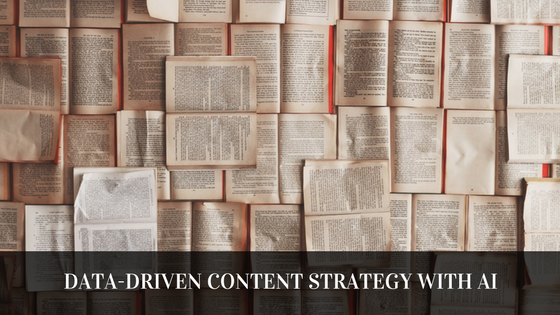 Do you want to remove the guess-work in content marketing and get data-driven insights that helps define content strategy, create better content, identify influencers to work with and measure content performance against competitors? If so, you may want to use AI and natural language processing (NLP) to harvest content insights from the vast oceans of the Internet. There are ready-made tools offering this capability, for example Hawkeye from Scoop.it. I had the opportunity to discuss this with Guillaume Decugis, the Co-Founder & CEO of Scoop.it. Guillaume is an engineer turned-marketer, and he has experimented a lot with content marketing and developed the lean content marketing methodology as a way to help marketers generate ROI with content. His vision of lean content marketing guides the development of the Scoop.it platform as well as the editorial line of our blog and resources. Guillaume is a serial entrepreneur. Now, over to the interview where Guillaume explains how AI can be used for data-driven content marketing! We launched Scoop.it back in November 2011 because we saw that publishing great content had become an obligation for professionals, marketers and businesses. We started to develop technology that helps them curate, create and distribute content that drives measurable results and ROI. Our first product, Scoop.it free version, helps professionals publish topic pages with the content they curate to showcase their expertise and build their professional brand. Back in 2015, we developed our B2B offers to help companies leverage content, primarily through content curation as a way to identify relevant third-party content to publish on their own channels or as a way to collect market intelligence information. 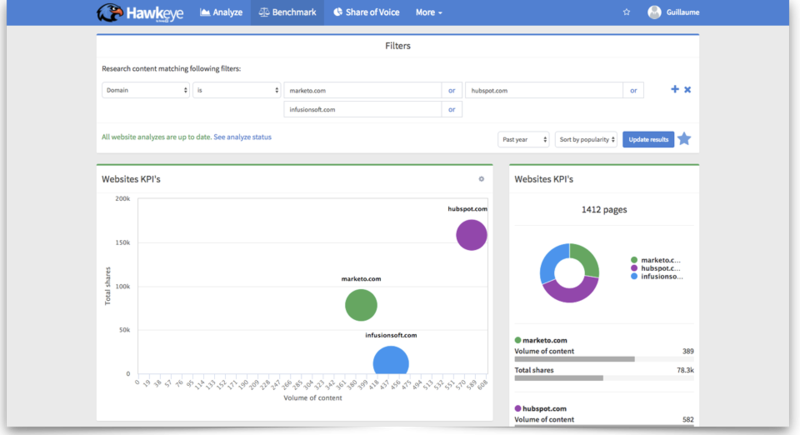 More recently we launched Hawkeye, our content intelligence platform that enables marketers to analyze and measure web content. What Problem Does Scoop.it Solve? Hawkeye eliminates the guess work in content marketing by providing data-driven insights to marketers that help them define their content strategy, create better content, identify influencers to work with and measure their content performance against competitors. What Does Scoop.it do, and why is it Important to Your Customers? Hawkeye indexes the web’s editorial content from mainstream media sites to niche industry blogs. By using a unique combination of data sources – including content sources provided by the Scoop.it community of more than 4 million users – Hawkeye has access content from tens of millions of sources over the world in any language. Each piece of content is then measured by Hawkeye: its quality is scored and its performance is measured. It’s also analyzed using artificial intelligence (natural language processing) to understand what this content is about. Measure their owned and earned content performance against competitors and top influencers on their market. At a time where most companies have embraced content marketing and where the amount of content published every hour and every day is huge, this data is critical to marketers. Gone are the days where a content marketer could be the first to address a given audience. Today, marketers compete for attention from a variety of different publishers: their business competitors but also independent blogs or media sites. As a result, no marketer can create content in a vacuum. They need to learn as quickly and efficiently as possible from pre- existing content to make their own content more unique and to select the topics that will engage their audience. Finally, they also need to measure not just whether their content works but how it stacks up against their peers. Social listening tools that are great at analyzing B2C audiences’ perception but are limited for B2B and don’t really work at the editorial content level. Hawkeye overcomes these limitations by analyzing editorial content from all over the web – not just a short tail of popular media sites – and working at the topic level. With the recent changes of Google, this latter point is critical: a search topic can be addressed by dozens or hundreds of keywords and keyword combinations that Google will understand as being the same search intent. Writing for just one keyword greatly sub-optimizes content potential. Marketers should focus on the topic, not the keyword. How Does Scoop.it use AI? Hawkeye uses natural language processing which is an artificial intelligence technology enabling machines to understand human language. When marketers query Hawkeye on a given topic or list of competitors, Hawkeye’s AI enables it to “read” the thousands of results of that query in a fraction of time when it would take weeks for a human being to do so. By calculating similarity scores between any two pieces of content, Hawkeye can group content in categories and identify the topics that a list of content results is covering as well as to what extent any topic is covered and with what impact. As an example, let’s say you want to analyze “content marketing” as a topic. You can ask Hawkeye to analyze all the content that has “content marketing” in its title and that was published in English over the past 3 months. As of now, there are about ~8,300 content results. What Hawkeye can do using AI is to tell you what these 8,300 results are about. Concretely, it will group these results in about 20 different topics ranging from “content strategy” to “content marketing trends” or “SEO”. Hawkeye also uses machine learning to learn content formats and recognize the type of content any given page. At the core, AI systems learn from data. The reason AI is becoming more and more relevant to the enterprise is because companies are collecting more and more data. 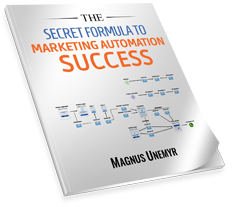 From CRM to marketing automation systems, this is especially true for sales and marketing. 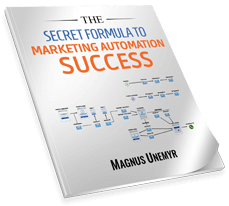 More than 80% of US companies have a CRM system and 40% a marketing automation systems. Close to two thirds have a social media platform and more than 90% website analytics. All these systems produce data which historically has been siloed and hard to leverage. But with new AI technologies, businesses can now analyze and understand this data and make better decisions. Analyzing results and presenting reports that identify key actions to take. All of these areas require the analysis of large amount of data, identifying patterns and taking actions at the micro level – all of which being better done by AI than humans. No, I don’t think AI robots will replace marketers. But I think there are a number of repeated tasks in the marketing function that will be better handled by AI than by humans. Smart marketers will learn to leverage AI – not fight it or ignore it – and focus on what humans do best such as being creative or thinking strategically. 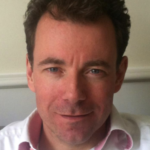 In this interview, Guillaume Decugis provided interesting insights into how artificial intelligence can be used to create data-driven content marketing strategies, using tools based on natural language processing (NLP). 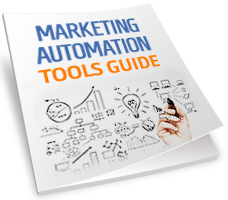 This type of marketing tools can make content marketing much more efficient for marketers, and will likely be an appreciated tool in the toolbox of many companies. 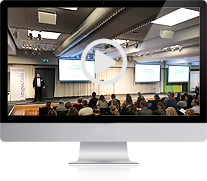 Do you want to learn more on content intelligence? Check this blog post!